I’m in a mood to organize things lately…I like to start getting things cleaned up near the end of the year so that my new year will be uncluttered and happy! Ask me how that’s going the 2nd week of January!! 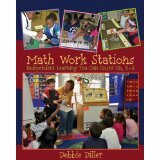 🙂 I came up with a way to organize my Math Work Station materials after they have been removed from the tub (thanks to Debbie Diller for her MWS ideas! She’s my American Idol–can you tell?? 🙂 ). 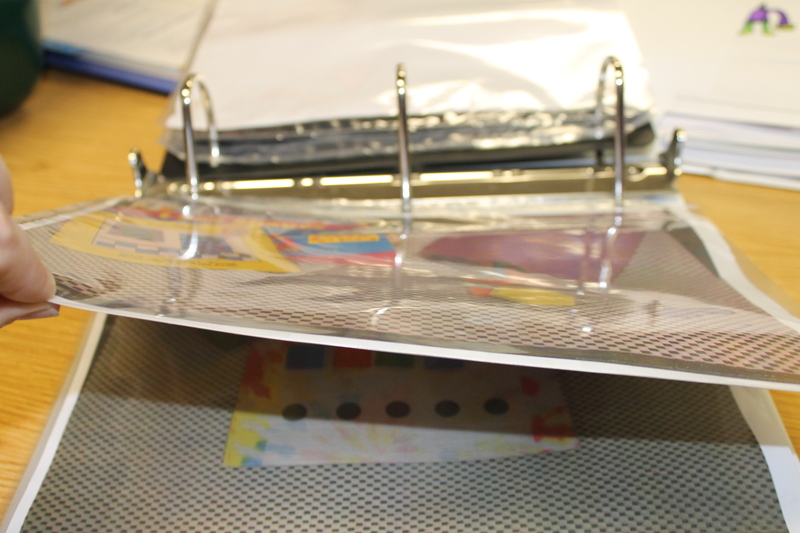 I got a big 3 inch binder and filled it with a bunch of clear sheet protectors. 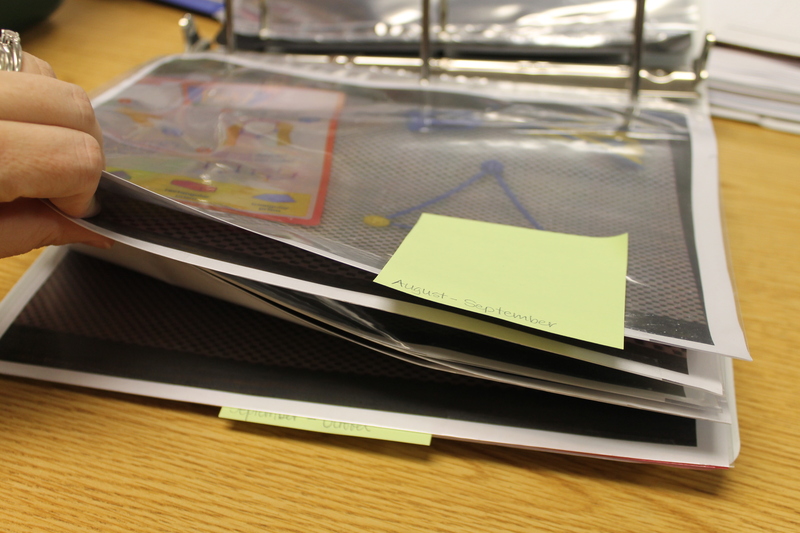 I then divided the sections up by when the materials were introduced into the tubs (Sept/Oct, Oct/Nov, etc.). If the lid had a picture in it to remind the children what to do, when I switched out those materials, I put that picture in the right sheet protector section and wrote on the back what supplies I needed for next year–small things like numbers written on index cards were put into the sheet protector also. Next year, I’ll be able to see what I introduced in each “round” of tubs and what I need to quickly put them together. 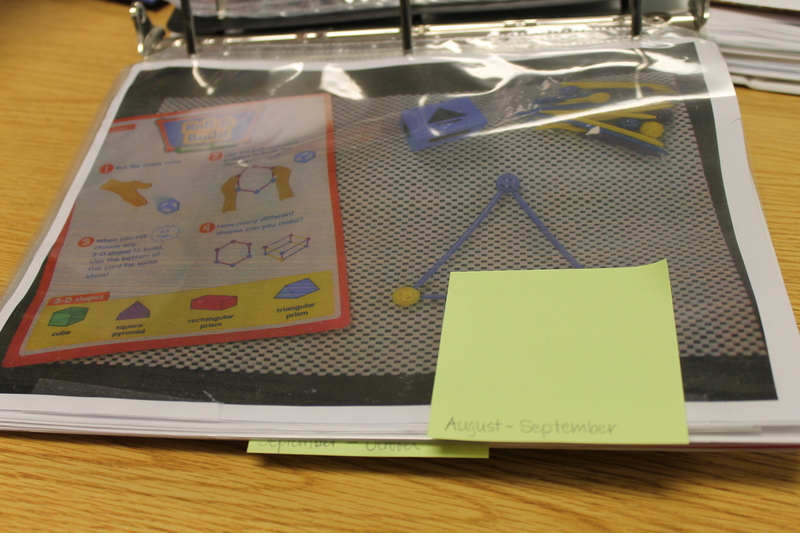 You could also organize this binder by the Common Core Standard that it addresses. For the tubs that I did not take a picture of, I included the page that gave directions–just something to help me remember what I put into the tubs. It’s been a crazy week! I’m talking about my week that has now spanned from Tuesday to almost Tuesday. Last Tuesday, I went to school not feeling so hot. I went to talk to my principal and she said that I didn’t look so good and pretty much sent me home. She made me promise that I would visit the doctor for some meds before getting on the plane to San Francisco! That’s right San Francisco, where I was attending NSTA 2011. The plane ride wasn’t so helpful for my cold…I used a box and a half of kleenex on the way to San Francisco. We arrive around 9:30 pm their time and walked right past our hotel four times because it was being remodeled and we couldn’t find it. By then it was 1:00 am midwest time and we were EXHAUSTED!! Thursday, I was able to attend a full day of workshops and got some really great ideas! I’ll be sharing them in the next few months as I use them in my classroom. Thursday night, I got the thrill of a lifetime…we were invited to a VIP Reception through the Discovery Channel/Education people and got to meet….drumroll please…. I was so beside myself with excitement, that I eeked out a “HI!” and a “Thank You!” and that’s all I could come up with to say! That’s my hubby behind me…I took him along because he has family in California and thought he might get to see them while we were there. Friday, I got some more workshops in and then that darned earthquake happened in Japan, so we were on Tsunami Watch 2011. I FREAKED! I was there and didn’t know where higher ground might be, so I did the next best thing….started shopping for tickets to Vegas for the day–you know to get further inland. After talking with my friends who were with us, I calmed down and we decided to stay put…good choice as nothing happened! Friday afternoon, we toured the San Fran area by tour bus and then had dinner with the Science Companion President and some of her right and left hands. Saturday morning, I presented along with my friends Amy and Steve and we spoke about incorporating children’s literature into science or the other way around, incorporating science into children’s literature. I jumped on two planes after that to head home and was met with daylight savings time that put us not three hours back, but four!! Talk about jet lag! I slept until noon on Sunday–I never do that and am slowly getting back into the normal routine! Whatever that is! 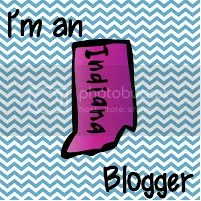 Today (Monday), I had the opportunity to attend the ISRA (Indiana State Reading Association) Conference. I got to meet a very special person (one who happens to read my blog…) maybe you know her?? 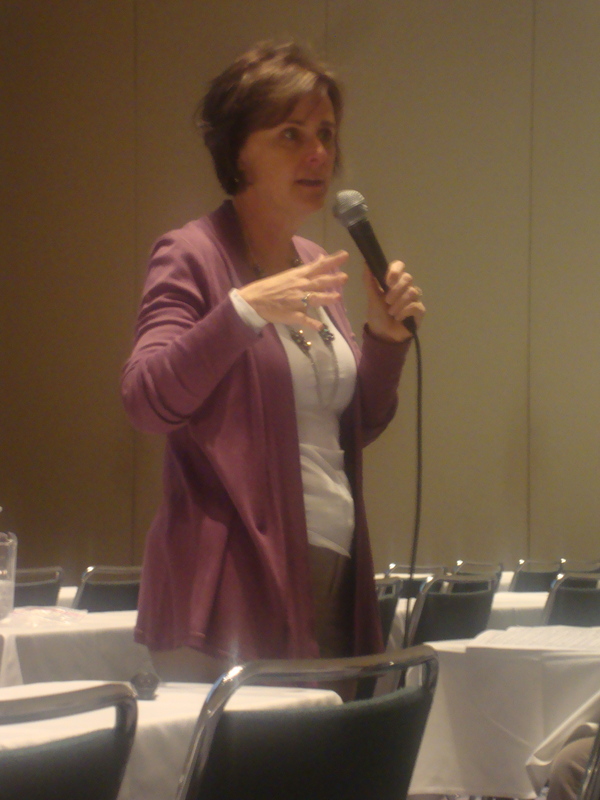 Her presentation was wonderful and I got lots of new ideas from the two sessions I was able to attend. 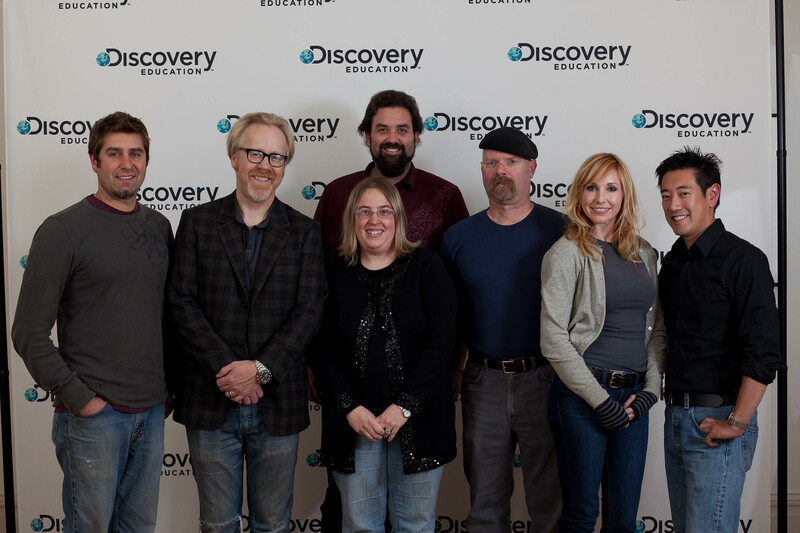 So, it’s been the thrill of a lifetime for me to meet the MYTHBUSTERS and my idol Debbie Diller all in one week! Be still my heart! I don’t know how much more excitement I can take!